Cross-country skiing—also known as Nordic skiing—is a great way to experience the breathtaking scenery of Sun Peaks at a more leisurely pace than downhill skiing. It makes for a great workout and, perhaps best of all, it’s quite a bargain! A one-day Nordic pass at SunPeaks costs just $18 (compared with $79 for an alpine pass). 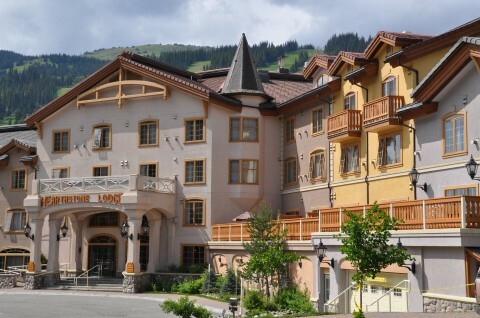 When you stay at Hearthstone Lodge in the Sun Peaks village, you can ski in and ski out directly from our hotel to the many of the mountain’s Nordic trails. Your Nordic day pass also includes two rides up the Morrissey Express chairlift, which takes skiers to the top of the scenic Holy Cow trail. Over 30 km of beautifully groomed, track-set cross-country skiing trails are yours to explore at Sun Peaks, along with an extensive network of backcountry trails recommended for experienced skiers only. 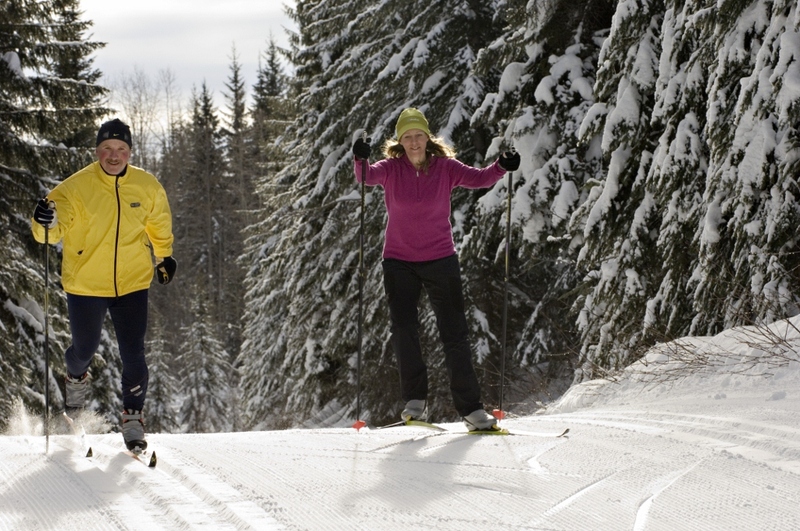 Before you embark on your day of cross-country skiing, head to the Sun Peaks Nordic Centre for trail information, equipment rentals and instructional materials. If you need a break mid-day to warm up and have a snack, steer yourself toward the McGillivray Lake Outpost. If you’re new to the sport, or looking to improve your skills, consider attending one of Sun Peaks’ weekend Nordic ski camps, happening December 14-15 and January 18-19. Similar programs are also available through Glenn Bond XC Ski Camps. For a special evening on the trails, sign up for one of Sun Peaks’ Full Moon Nordic Ski & Chocolate Fondue tours. You’ll be guided through McGillivray Lake trail under a starry sky to a warm cabin where you’ll enjoy hot cider, chili and chocolate fondue while listening soothing live music from Leo Pouliot. For an unforgettable cross-country skiing trip to Sun Peaks Resort, book your stay at the Hearthstone Lodge today.